A trip to the eastern European nation of Bulgaria wouldn’t be complete without a visit to Pirin National Park, which is arguably the best and most popular in the land. It was originally established as Vihren National Park back in 1962 and is just over 100 square miles in size. The scenery and landscapes in the park are simply fascinating. You’ll find the that the park is filled with a lot of diversity as there are steep ridges and peaks, with the highest point reaching just over 9,560 feet in the air, as well as evergreen stands, waterfalls, alpine meadows, and numerous glacial lakes. Over half of the parkland is blanketed in forests with the Macedonian pine being one of the most plentiful types of tree here. Some of these trees are quite old with the majority of them being close to 150 years old and a select few having been around for over 500 years. In fact, one of these trees, known as the Baykuchevata Macedonian pine, has been gracing its spot for about 1,350 years. Most of the lakes in Pirin National Park were created thousands of years ago during the last ice age. Approximately six dozen of these glacial lakes were formed by melting ice. In addition, the ice carved out the surrounding cirques and valleys and can now be witnessed as granite and limestone relics of this past era. 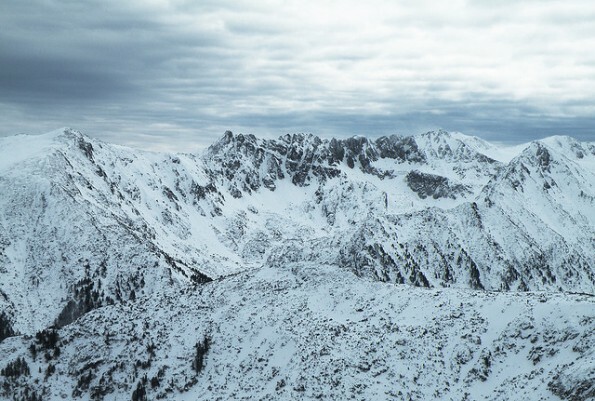 The Pirin Mountain Range in the park lies close to the Aegean Sea coastline and is a favorite spot for numerous species of rare and endemic birds. The park is relatively secluded and along with the birds, you’ll find a wide range of larger animals who love to roam the land. These include jackals, brown bears, deer, gray wolves, chamois and wild boars. Among the approximately 160 species of birds are owls, hawks, eagles, woodpeckers, and grouse. There are also two nature reserves located inside of the park. If you’re driving to this wonderful Bulgarian national park, you can access it from northern Bulgaria’s Mesta Valley and southern Bulgaria’s Struma Valley. The country’s capital city is historic Sofia, and if you travel about three hours from here, you’ll come to Bansko, which is where the information center for the park is located. If you’d really like to explore the countryside while heading to the park though, you should think about taking a train to Bansko from the town of Septemvri. It’s quite a scenic route as it rolls through the nearby mountains. These mountains are snow-covered for approximately half of the year and you’ll find that Bansko is very popular with skiers during the winter months. The summers are actually relatively short and cool in the park, especially in the northern region and in the higher elevated places. However, you’ll find the climate is basically sub-Mediterranean down in the southern foothills. Once you reach the park, you’ll find plenty of opportunities for outdoor activities. The World Heritage Park is ideal for climbing, biking, and hiking. Also, because there are so many lakes you’ll find the fishing is excellent and there are several caves that are just begging to be explored. If you’d like to spend a few days in the park, overnight stays aren’t any problem as chalets and huts can be rented.